Watchmaker Arnold & Son offers watches that are way beyond the commonplace. Their latest Basel introduction, a new piece called the Time Pyramid, is a hand made tourbillon that features a unique pyramidal movement structure that makes it look like something out of Stargate. 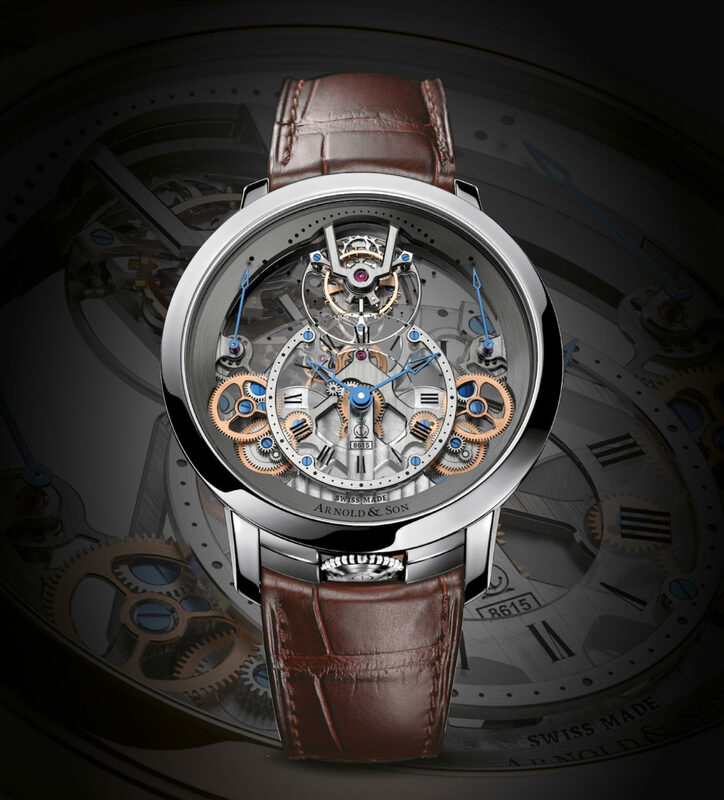 Besides the off-centred hours and minutes, seconds are on the tourbillon and the two power reserve indicators on each side of the linear gear train indicates the energy level of the two mainspring barrels. The blued steel hands indicating these power reserves artfully demonstrate how the right barrel takes over when the left barrel reaches a limited power and thus, to maintain an optimum and accurate functioning. The two serially set up barrels supply the in-house manufactured calibre with a total of 90-hour power reserve and provide a more regular force to the wheel train. It comes in a red gold or steel case and only a few will be made. Be prepared to forgo your yacht payments this year if you decide to pick this little puppy up.